On this spot Horace Kephart – Dean of American Campers and one of the Principal Founders of the Great Smoky Mountains National Park – pitched his last permanent camp. The marker’s location is generally described as “Campsite 57, at Bryson Place”, yet many hikers have tried unsuccessfully to locate the marker. But with a GPS it can be found at 35° 31.197′ N, 83° 25.182′. 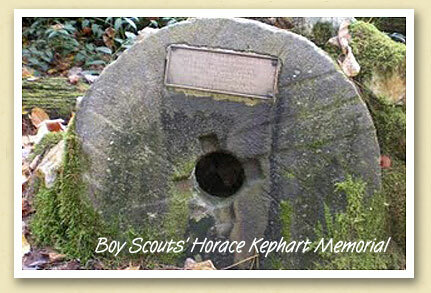 Horace Kephart is buried in the Bryson City Cemetery.